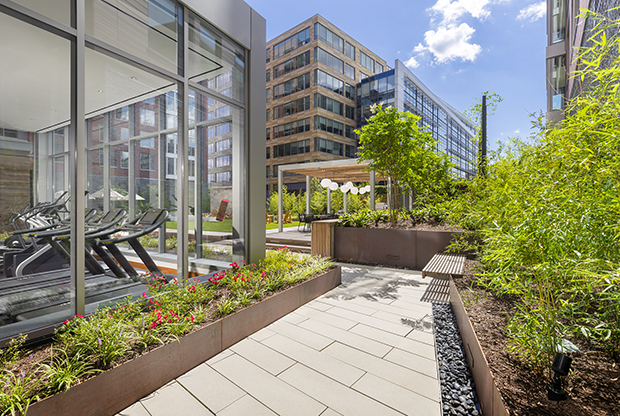 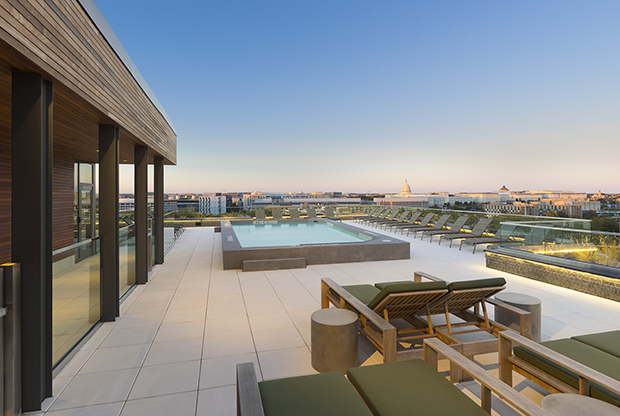 Eliot on 4th is a LEED Gold Certified, 365-unit apartment building located in SW Washington, DC. 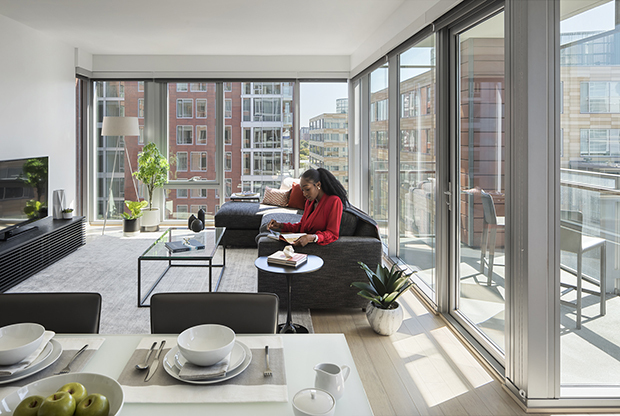 Steps from the Waterfront Metro Station, the twelve story building with ground floor retail is the first ground-up residential building constructed as a part of the Waterfront Station Master Plan. 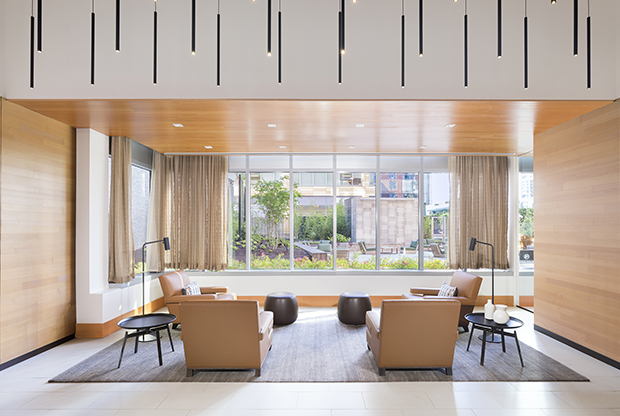 Eliot on 4th harmonizes with its surrounding context while establishing its own unique identity. 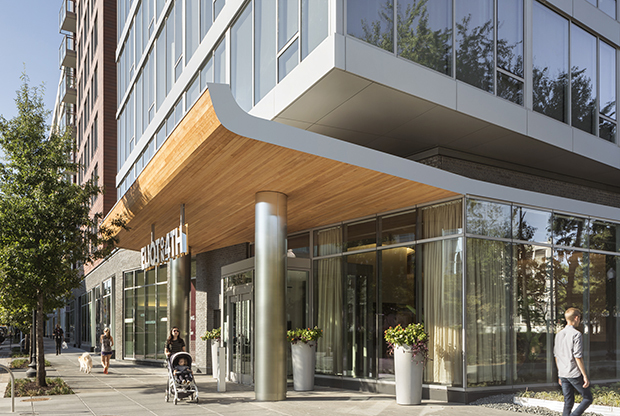 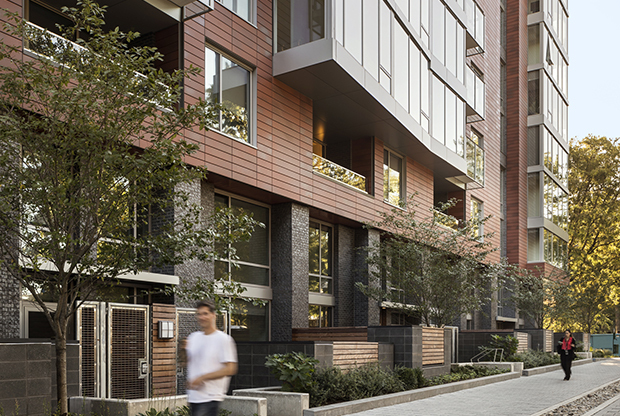 The building’s primary façade material is a high performance terracotta rainscreen with a custom finish inspired by the natural variation and rich coloring of the DC Metro platform quarry tiles, connecting the building to the distinct and familiar feature of the urban environment. 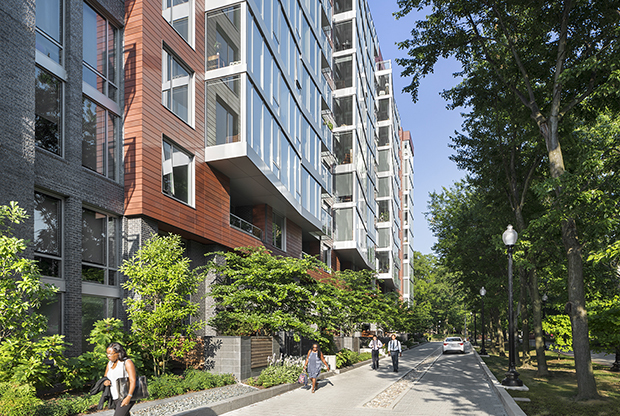 The site design incorporates a new mixed-modal street that creates a park-like setting with existing mature trees and lush new landscaping. 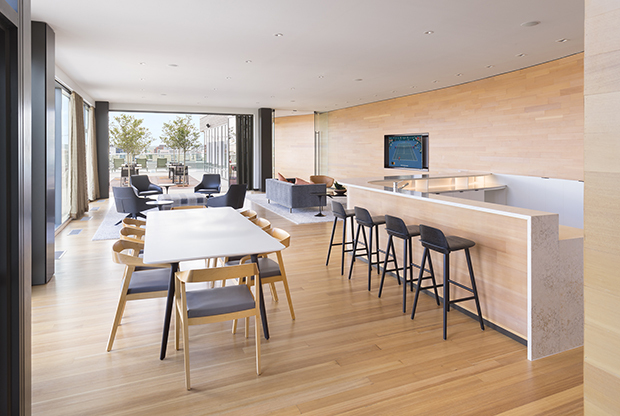 Unique two-story townhouse units with spacious patios and direct street access activate the base of the building. 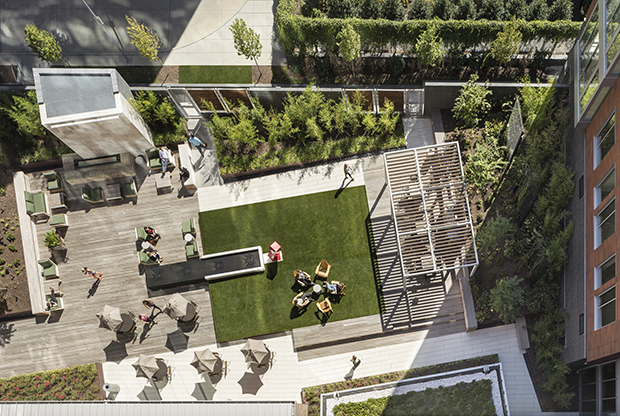 An enclosed private courtyard offers a variety of outdoor environments for socializing, entertaining, and exercising. 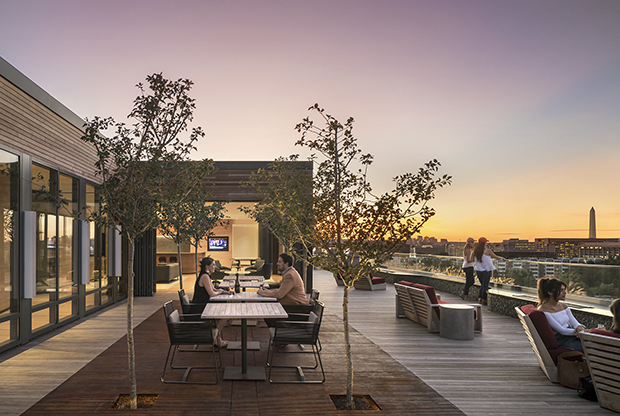 In a dense urban environment, Eliot on 4th is designed to maximize connections to the city while providing surprising moments of escape. 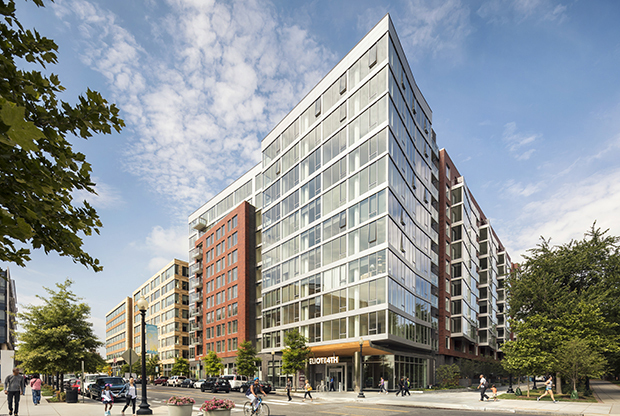 Eliot on 4th is a LEED Gold Certified, 365-unit apartment building with ground floor retail located in Southwest Washington, DC.